The Israel Defense Forces on Tuesday revealed new information about the deployment of Iranian air defenses in Syria, further exposing Tehran’s attempts to entrench itself militarily in the war-torn country. Tensions between Israel and Iran have been steadily escalating since an Iranian drone that breached Israeli airspace on Feb. 10 was shot down by the Israeli Air Force. An Israeli official confirmed to The New York Times Monday that it was the IAF that struck the T4 air base in Homs, last week. Seven members of Iran’s elite Quds Force were killed in the strike, including the commander of its drone unit in Syria. Israeli officials said the drone, which the IDF found had been weaponized and on an offensive mission, was launched from T4. Fuming over the strike, Iran has vowed to exact vengeance on Israel. Iranian Foreign Ministry spokesman Bahram Qassemi said Monday that “Israel will receive a blow for what it did at the T4 base. The days when the Zionist regime would hit and run are over. … I suggest to the Israelis to refrain from foolish steps if they want to continue their treacherous existence,” he warned. The IDF said Tuesday that the deployment of Iranian air defenses in Syria was personally supervised by Quds Force commander Maj. Gen. Ghasem Soleimani, one of the most powerful military figures in the Iranian regime. Iran is a close ally of Syrian President Bashar Assad and it has lent his forces significant logistical, technical and financial support in their war against the rebels. According to the United Nations envoy to Syria, Staffan de Mistura, the Iranian government spends at least $6 billion annually on maintaining Assad’s government. Independent researchers believe Iran’s support of Assad’s regime amounts to over double that sum. Israeli defense officials said that the majority of Iran’s military support is delivered to Syria under the guise of humanitarian aid. Since 2015, the Iranian Air Force has been conducting routine flights into Syria, using military cargo planes disguised as civilian Iranian airlines to transport weapons and combat personnel, including drone operators. The Quds Force is said to be focused on establishing air defenses and drone operations in Syria, so it can use them to launch direct offensives against Israel. 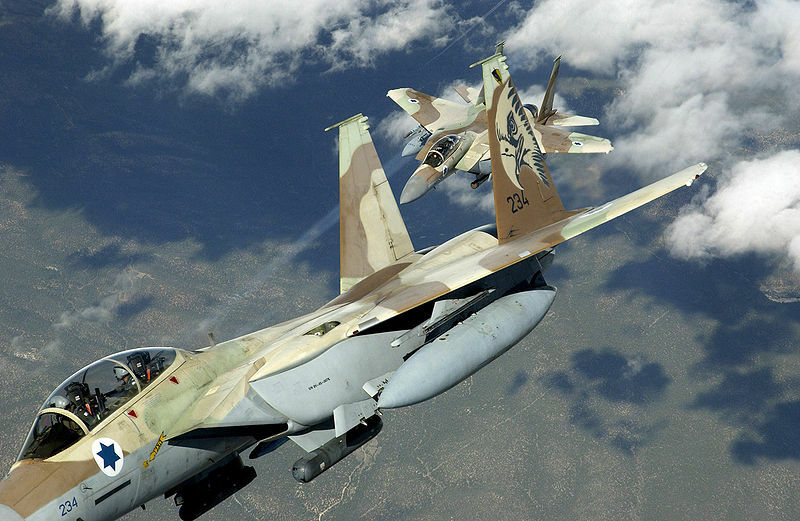 The IDF believes that any direct clash between Israel and Iran on the northern border would be carried out by the Revolutionary Guards’ air force rather than by ground troops. Israel’s military is on high alert preparing for the strong probability of direct retaliation from Iran in response to last week’s attack on the Tiyus (T-4) air base in central Syria. Seven of the 14 people killed in the Israeli air strike on the base were members of Iran’s Revolutionary Guards Corps’ elite Quds Force. 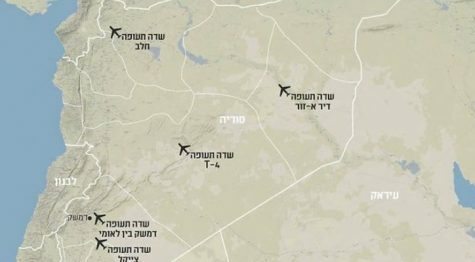 Israeli media have been supplied with a map that displays five Iranian-controlled bases in Syria – clearly the five Iranian targets to be hit by the IDF in retaliation if Iran attacks Israel. 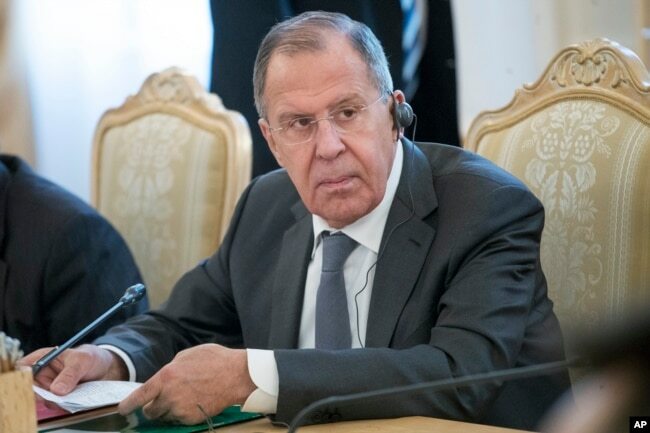 The targets include Damascus International Airport – through which Iran flies in its weapons and military gear; the Sayqal air base; the T-4 (Tiyus) air base; an air field near Aleppo (Haleb); and a military base near Deir ez-Zour. Quds Force commander Qasem Soleimani this week issued a direct threat to Israel from Damascus after arriving for a briefing on the T-4 air strike, which an Israeli official told The New York Times this week was indeed was carried out by Israel’s Air Force. He warned in remarks quoted Tuesday by Lebanon’s Ad-Diyar newspaper that the Jewish State “is going to pay the price,” according to Israel’s Hadashot news. The Quds Force commander was briefed on the air strike by Iranian and Syrian officers, and also met with members of the Iranian-backed Hezbollah guerrilla force during his rare visit to the Syrian capital. Iranian Foreign Ministry spokesperson Bahram Qasemi told media on Monday that retaliation would forthcoming “sooner or later” and that Israel would “regret its misdeeds… The Zionist regime should not be able to take action and be exempt from punishment,” he said, according to Iranian news media. Israel has said it will not allow Iran to maintain a permanent military foothold in Syria. American paper cites anonymous officer who says Israel acted to contain Iranian efforts to establish bases in Syria, but later amends report to reflect IDF’s official position. Although nobody would confirm the admission officially, a senior member of the IDF was quoted in the New York Times Monday as stating that Israel did indeed attack a Syrian air base a week ago. “It was the first time we attacked live Iranian targets — both facilities and people,” said the source, according to the paper. The T-4 base that was hit by at least three missiles had been the launchpad of an Iranian drone sent into Israeli airspace on February 10th which had been quickly shot down by an Israeli air force helicopter. Israel had openly reacted to the violation of its sovereignty at the time by hitting the base with several IAF jets in what was the largest strike on Syria since the First Lebanon War. IAF Chief of Staff Brig. 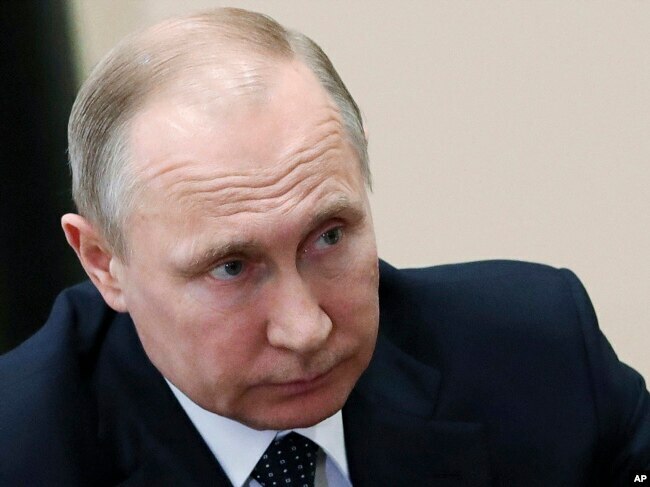 Gen. Tomer Bar described that mission as an attack on advanced long-range surface-to-air missiles, components of Syria’s air-defense system, and the Iranian mobile control center that had been responsible for the drone. 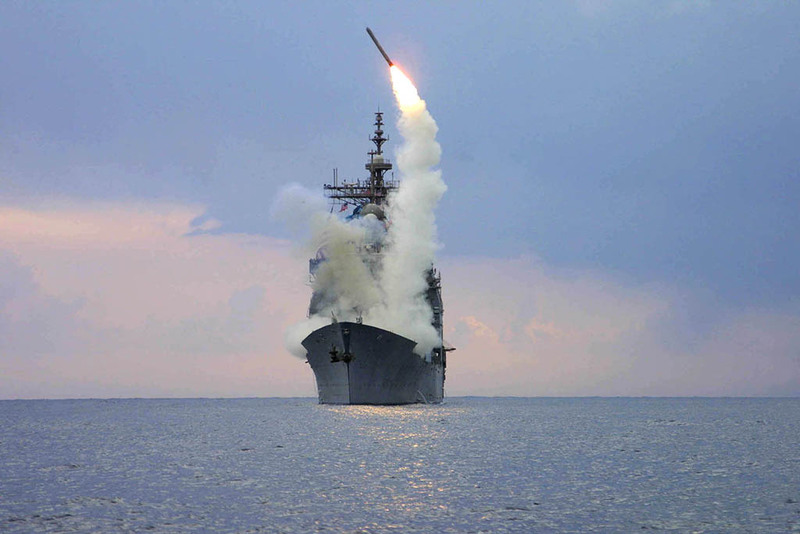 Last week’s missile strike was therefore the second go at the same target, but this time seemingly with intent to specifically hit the Iranians hard, as the source said. Fourteen people were reported killed, including seven Iranian Quds Force members and the head of their drone unit. In fact, the purpose of the attack was reportedly to totally eliminate Tehran’s drone program at the central Syrian base. The timing of the raid – right after Syria had bombed a rebel-held enclave with chemical weapons that killed dozens and injured hundreds – led Syria to first accuse the American administration of it. 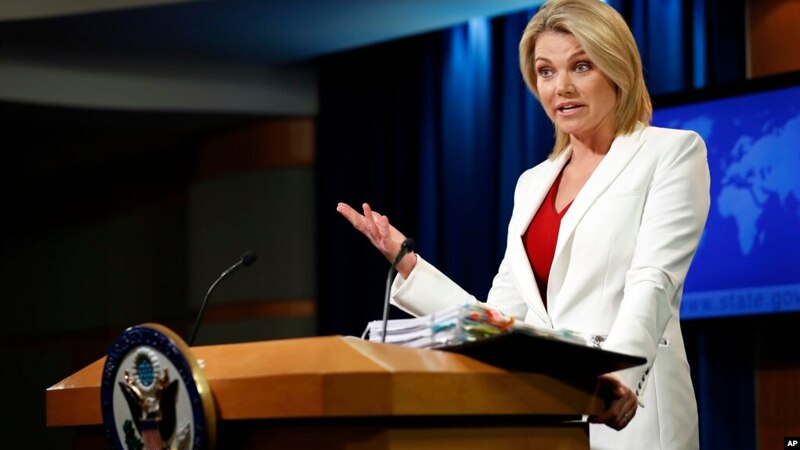 But the Americans denied any role, and Syria, along with its Russian and Iranian allies, quickly pointed the finger at Israel, which remained silent. And still does — officially. The question is whether this new period of direct confrontation between the two powers in the Middle East will be a limited one or not. Syrian media and eyewitnesses reported missile, anti-aircraft fire and fighter jets early Tuesday morning. Syrian media and locals reported air strikes and Syrian air defense launching rockets in response in the early hours of Tuesday. According to initial reports, the strikes may have targeted Al-Sayrat airbase and rural Homs, as well as areas around Damascus. Days after US-led airstrikes hit Homs and Damascus on April 14, Syrian Twitter accounts blamed Israel for alleged strikes on Tuesday morning. The first reports emerged around 1:30am. Al Sura Media claimed fighter jets had targeted Syria’s T4 airbase, where Iranian troops are alleged to be present. Syrian state television showed pictures of a missile that was shot in the air above the base. State television did not mention three missiles that were fired at Dumair military airport, northeast of Damascus, that pro-Iranian Hezbollah’s media service reported were intercepted by Syrian air defenses. On Monday Hezbollah’s Deputy Secretary General Naim Qassem warned that Iran and Israel are nearing open war as tensions are very high in Syria. Syria’s Sana Ajel news claimed anti-aircraft units responded to an attack in Shayrat airbase near Homs. That was the same airbase the US struck in 2017 in response to a chemical weapons attack at Khan Sheikhoun. Reports of strikes at Shayrat airbase and areas south of Damascus were dismissed as rumors by some commentators online. 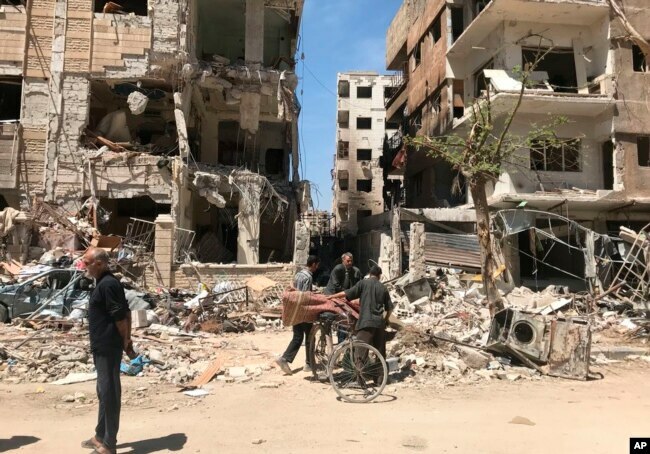 Syria’s regime is gearing up for a battle with ISIS in Yarmouk in southern Damascus, and some said that the sounds of missiles might be related to that conflict. However, Al-Mayadeen and other pro-regime channels showed video of a strange light, which they claimed was part of the airstrikes, hovering in the sky. The Pentagon said that the US was not involved in any strikes Tuesday morning. The last week has seen several reported strikes in Syria. The New York Times quoted an unnamed Israeli military source as saying Israel had carried out an April 9 air strike in Syria. The map below shows the location of the reported strikes.